WomenCinemakers is now accepting submissions from female filmmakers, directors and producers for its biennial edition (shorts, documentaries and features written, directed or produced by women). There are four (4) categories that films can be entered: Independent Cinema, Documentary, Dance Video, Experimental cinema and Video art. 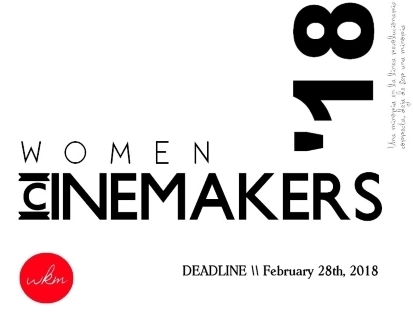 In order to submit a film to the WomenCinemakers you have to send the film and the completed film entry form before February 28th, 2018. You can fill out our submission form or email us your proposal including a link to your video and a short description of your film. Films must be directed by a woman, or featuring a woman in a significant creative role (only films with a female director/producer are eligible for awards). Though we EMPHASIZE FILMS DIRECTED BY WOMEN or PRODUCED BY WOMEN, we will consider all films about women's stories and issues affecting women. We will not exclude films directed by men if the topic is one of significance to women. Only films produced after 15 August 2016 will be considered AND films produced before 31 December 1999 as Classic films category. Foreign language films will only be accepted if they are subtitled in English. We do not accept works-in-progress and will not update a submission with a more recent cut. Please do not submit your film until it is complete. Festival times are subject to delay or change. If submitting more than one film, a separate completed entry is required for each title. By submitting a film, the Submitter agrees to abide by these terms, rules, and guidelines. * The FPB classifies all film material distributed in South Africa (except that shown on TV as broadcasters have their own regulatory body). * Balancing the right to freedom of expression with an obligation to protect children from exposure to potentially disturbing, harmful and inappropriate materials. *Protecting children from sexual exploitation in media content in order to educate the broader South African society to make informed choices. Yet, the idealism of Rama Thiaw was nurtured by the “boulfalléism” of her youth. “You make your own way and don’t give a damn about anything,” loosely translates the Wolof expression Boul Fallé. For Rama Thiaw, a child of the Boul Fallé generation, this motto was in many ways her own story growing up. Even as a young child coming from Mauritania, she had to make her own way and not succumb to the insults that were hurled at her once in Senegal. Coming from Pikine, in the outskirts of Dakar she has always had to assert herself. Again in France she continued to find her own path as an outsider. And this attitude has stayed with her as a filmmaker. As a role model the Senegalese wrestling star Mohamed Ndao Tyson was her inspiration someone “who came from nothing, bringing hope and showing the way forward. By dint of determination and hard work he became a success.” Therefore, the attitude of finding one’s own way and not expecting anything from others was a motto that she adopted as her own. In many ways it was a natural continuation of ideas that the focus of her first feature documentary was about wrestling, as sport and metaphor for fighting in the struggle. The title, Boul Fallé, la voie de la lutte, the latter phrase, that translates from French to “the path of struggle”, derives from the French homonym “lutte”, which means both the sport of wrestling and struggle—especially in the sense of engagement. Hip hop was another role model that she embraced while growing up, as she was also influenced by the social movement brought about by the Senegalese activist hip hop group Positive Black Soul (aka PBS) who popularized the expression Boul Fallé, the name of their 1994 song. Hence, it is also not a coincidence that her second feature documentary incorporates the elements of hip hop as a conceptual framework and symbol for change. Her film, The Revolution won’t be televised shows her direct influence by Gil Scott Heron, the godfather of social and political hip hop activism. Rama Thiaw describes Senegal as an oral society, and hence, music is a way to convey information traditionally, for instance the griots recount history orally, which include music and singing. Even politically, music is integrated into the introduction of politicians, for example. She further explains the significance of hip hop, which is very wide-spread among young people in Senegal. And hence, it had a significant role to play during the “constitutional coup” of Abdoulaye Wade: “although 54% of the population cannot read, thanks to the lyrics, people throughout Senegal, including in the rural areas, were able to know what was going." In Revolution Rama Thiaw’s camera goes behind the scenes of the political revolution Y’en a Marre (translated from French, “we’re fed up”), ignited by the hip hop group Keur Gui and journalists Cheikh Fadel Barro and Aliou Sané in Senegal in 2011. In the film she shows “how one lives a revolution from day to day, with all the dangers, uncertainties and joys that it brings." The first Senegalese film festival dedicated to women, free and open to all! Created in 2003, the FILMS FEMMES AFRIQUE festival returns for a third edition full of promises and beautiful cinematographic gatherings. This important cultural event proposes the screening of fifty films—short and feature—as well as documentaries made about Africans and for Africans. Organised around the theme "Women and Education" the FILMS FEMMES AFRIQUE festival aims to emphasise the importance of educating girls and women throughout their lives, to highlight those who resist social oppression. With free screenings and organised debates and meetings throughout the city of Dakar and its outlying areas, the FILMS FEMMES AFRIQUE festival aims to inform and sensitise the Senegalese population to current social realities. Kaolack, Rufisque, Thiès and Louga will also host screenings! This beautiful initiative, supported since its first edition by major institutions such as the Ministry of Culture of Senegal, the Embassy of France in Senegal and many others, aims above all to promote but also to bring African cinema a step closer to its Senegalese audience. Le premier festival cinématographique sénégalais, consacré aux femmes, gratuit et ouvert à toutes et tous ! Créé en 2003, le festival FILMS FEMMES AFRIQUE revient pour une troisième édition pleine de promesses et de belles rencontres cinématographiques. Organisé autour du thème « Femmes et Education » le festival FILMS FEMMES AFRIQUE a tenu à mettre en lumière l'importance de l'éducation des filles et des femmes tout au long de leur vie, à mettre en avant celles qui résistent à l'oppression sociale . Grâce à des projections gratuites à travers la ville de Dakar et sa banlieue, des débats et conférences organisés, le festival FILMS FEMMES AFRIQUE a pour vocation d'informer et de sensibiliser la population sénégalaise aux réalités sociales actuelles. Kaolack, Rufisque, Thiès et Louga accueilleront également des projections! Cette belle initiative, soutenue depuis sa première édition par de grandes institutions telles que le Ministère de la Culture du Sénégal, l’Ambassade de France au Sénégal et bien d’autres, vise avant tout à valoriser mais aussi à aider le cinéma africain à faire un pas de plus en direction de son public sénégalais. Women and Education is the theme of the 3rd edition of the Films Women Africa Festival from 16 to 24 February 2018 in Dakar and from 26 February to 4 March 2018 in 7 regional cities. Its goal is to revitalize African cinema by being a screening space for filmmakers of the continent, at a time when there have been very few movie theatres. The Film Women Africa Festival offers films ABOUT and FOR people of African descent. Films that tell stories of African women. The aim is to give as many people as possible the opportunity to experience African socially-committed cinema. Thus, the festival reaches out to the public through free screenings not only in Dakar and its suburbs but also in other major cities of Senegal. All screenings are followed by Q&As. This third edition of the festival has an especially social impact in Senegal and beyond its borders. It will be an opportunity to lead an awareness building campaign on the education of girls. Even if there is an increase in school attendance by girls, one observes nonetheless a departure at the secondary level, which is due to various causes: domestic and agricultural work, early pregnancies, early marriages. The festival wants to show the importance for a woman to have financial autonomy. Educational success has the power to foster the development of empowered, self-reliant citizens. Education does not stop at school, it is multiple and is experienced throughout life. Education is at the heart of sustainable development. The 2018 Films Women Africa Festival will feature 50 films, fiction and documentary, short and feature, with Q&As and discussions following the screenings. There will be several screenings in different venues to facilitate access to all. All the sessions will be free of charge in order to prevent any form of social discrimination. A lunch-meeting reserved for African cinema professionals. A gala evening. The Films Women Africa Festival is an initiative of the association Trait d'Union. - organisation of the Films Women Africa Festival. Femmes et éducation, c’est le thème de la 3e édition du Festival Film Femme Afrique du 16 au 24 février 2018 à Dakar et du 26 février au 4 mars 2018 dans 7 villes de région. Son objectif est de relancer le cinéma africain en étant un espace de diffusion pour la production des cinéastes du continent, à un moment où il n’y avait que très peu de salles de cinéma. Le Festival Films Femmes Afrique propose des films SUR et POUR des personnes d'origine africaine. Des films qui racontent des histoires de Femmes Africaines. La vocation est de permettre au plus grand nombre de rencontrer le cinéma africain engagé. Ainsi, le festival va vers le public grâce à des projections gratuites non seulement à Dakar et sa banlieue mais aussi dans d'autres grandes villes du Sénégal. Toutes les projections sont suivies de débats. Cette troisième édition du festival a une portée sociale au Sénégal et audelà de ses frontières. Elle sera l’occasion de mener une campagne de sensibilisation sur la scolarisation des filles. Même si elles vont de plus en plus à l’école, il est noté un abandon dans le secondaire lié à différentes causes : travaux ménagers et agricoles, grossesses précoces, mariages précoces. Le festival veut montrer l’importance pour une femme d’avoir son autonomie financière. L’éducation réussie a le pouvoir de favoriser le développement de citoyens et citoyennes autonomes capables de réflexion. L’Education ne s’arrête pas à l’école, elle est multiple et se vit tout au long de la vie. L’Education est au cœur du développement durable. Le Festival Films Femmes Afrique de 2018, ce sera 50 films, fictions et documentaires, courts et longs métrages, débats et rencontres à la suite des projections. Plusieurs diffusions dans des salles différentes afin de faciliter l’accès à tous. Toutes les séances gratuites afin d’éviter toute forme de discrimination sociale. Un repas-rencontre réservé aux professionnels du cinéma africain. Une soirée de gala. Le Festival Films Femmes Afrique est une initiative de l’association Trait d’Union. Joyce Jenje Makwenda’s assertion above introduces her presentation on the history of women in film and television in Zimbabwe. 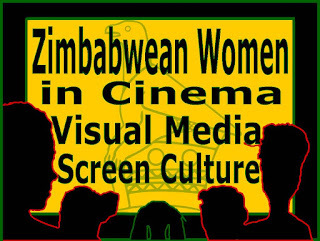 In the article, "History of Women in film and TV in Zim" she gives a survey of Zimbabwean women in media, highlighting its significance before and after independence in 1980. 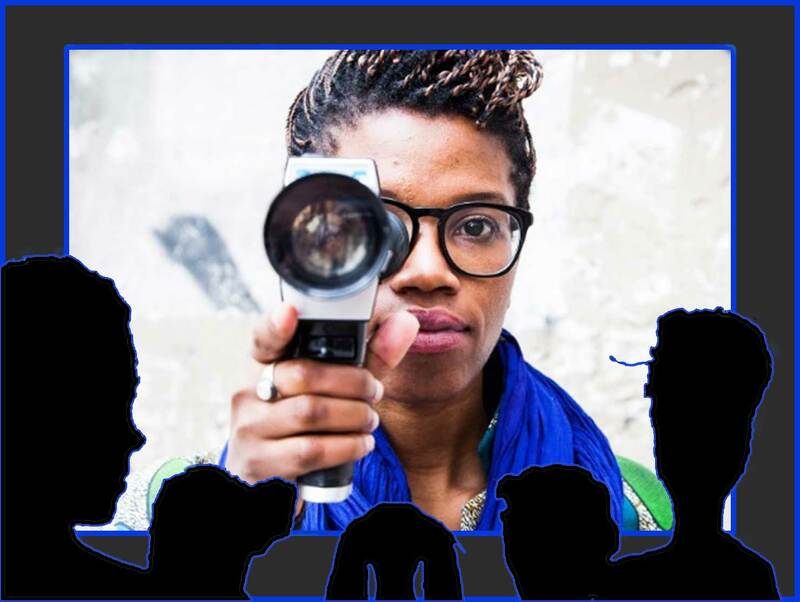 Chido Matewa’s doctoral thesis (2002) on the Africa Women Filmmakers Trust (AWFT) offers further research on the important role that media women have played in the use of communication technologies as a tool for empowerment. She highlights the pioneering work of Mavis Moyo of the Federation of Africa Media Women-Zimbabwe Chapter, who was among the Zimbabwean women who attended the World Conference on Women in Nairobi, Kenya in 1985, with a draft of the FAMWZ constitution. The organisation endeavoured for the development of media women in the urban and rural areas of Zimbabwe and has a primary goal to advance the cause of women media practitioners and to empower women through the media. Currently known as Gender and Media Connect (GMC), the name changed in 2015 in order to reflect the organisation’s belief that achieving gender justice requires the combined efforts of both men and women in the media. The Africa Women Filmmakers Trust, created in 1992 by founding members Tendai Munawa, Rebecca Kapenzi and Chido Matewa, works to advance gender equality and justice through the use of information and communication technologies by facilitating content production and dissemination that supports girls, women and disadvantaged communities to take informed choices. Other initiatives quickly followed, such as Nyerai Films, founded by Tsitsi Dangarembga in 1992. 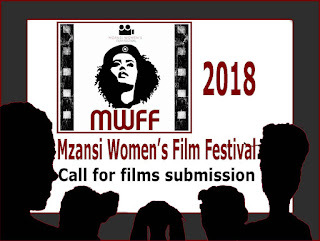 The Women Filmmakers of Zimbabwe (WFOZ) created in 1996 and first chaired by the late Petronilla Munongoro, has as its mission, to strengthen the gender perspective in Zimbabwean society by narrating women’s stories and experiences, whether told by women or men, or any other gender, powerfully through the medium of film. In 1997, the Zimbabwe International Film Festival was formed. The International Images Film Festival for Women (IIFF) was launched in 2002, and in 2007 established the Distinguished Woman of African Cinema Award, which is presented to a woman of African descent anywhere in the world who has made and continues to make a significant contribution to the African film industry within any of its areas. The Wild Track Newsletter, created in 2010 is an influential online publication featuring the myriad initiatives and activities of Zimbabwean women in visual media, art and beyond. Also in 2010, Priscilla Sithole introduced the Ibhayisikopo Film Project, an academy for women filmmakers aiming to increase the number of female audio-visual producers in Bulawayo. The Institute of Creative Arts for Progress in Africa (ICAPA) formed in 2011 by Tsitsi Dangarembga, features an important online portal. 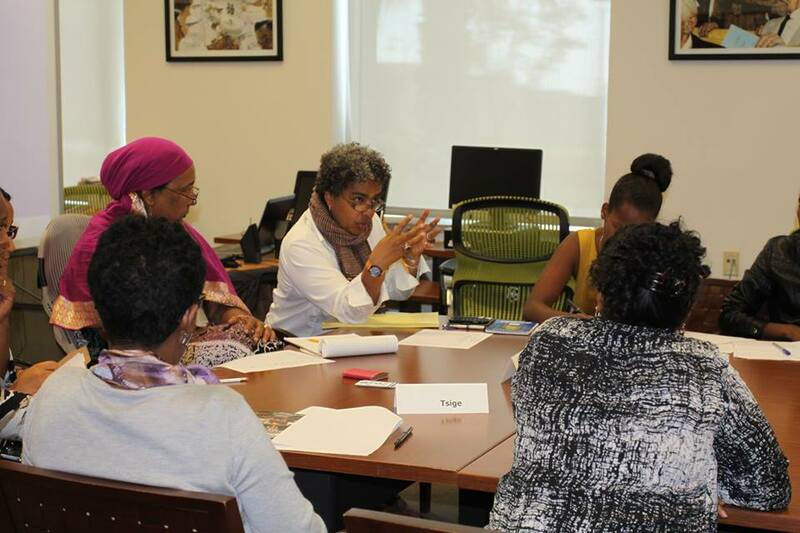 In 2016, the African Women Filmmakers Hub was launched by ICAPA and the following year the African Women Filmmakers Hub Scriptwriting Residency. 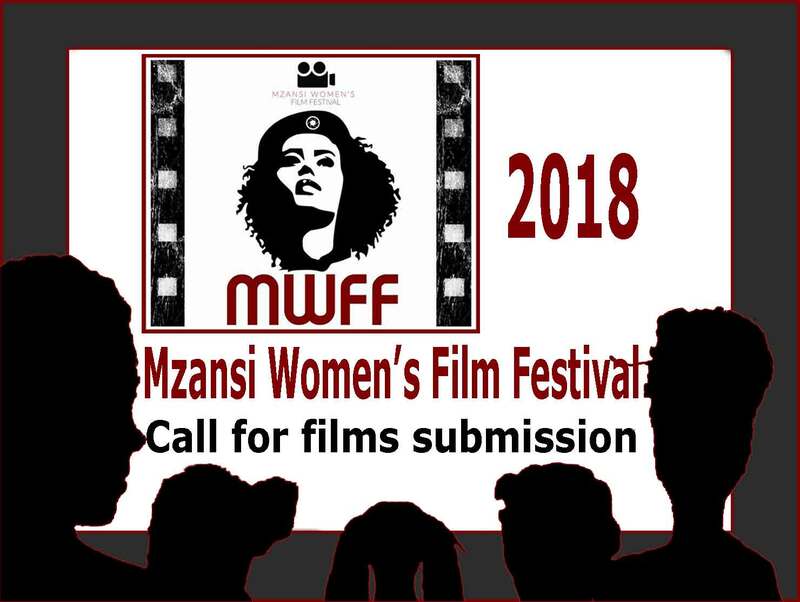 The history of Zimbabwean women in cinema, visual media and screen culture, is the story of the extraordinary resourcefulness of women producers, directors, organisers, journalists, writers, storytellers, and all the others who work to empower each other, locally, nationally and beyond. 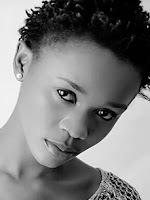 (1) Joyce Jenje-Makwenda. 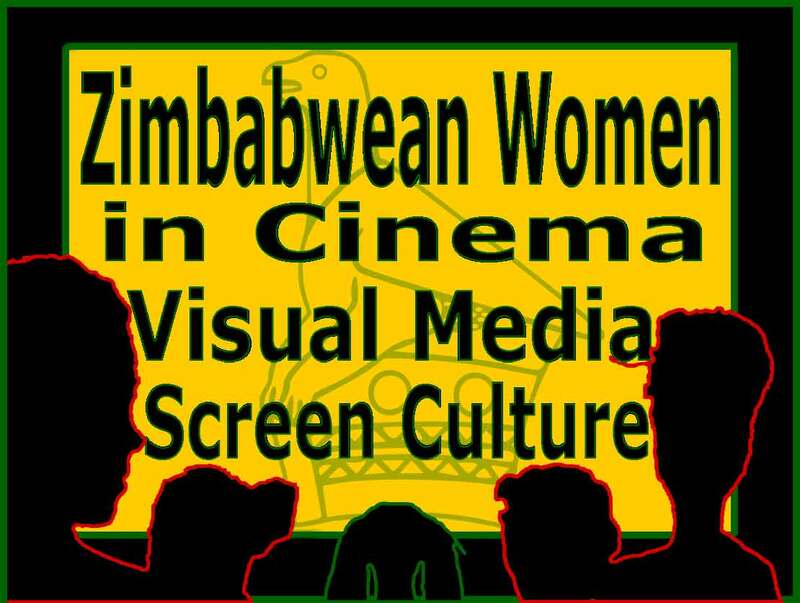 History of Women in film and TV in Zimbabwe. (2) Several of the women from the list are drawn from the Joyce Jenje-Makwenda Collection Archives. U.S.-based Ethiopian filmmaker-professor Lucy Gebre-Egziabher is a woman on a mission to empower as many women as possible to take leadership roles in cinema. While planning for the curriculum for her seminar, “From Script to Screen” as a Fulbright Scholar in Addis Ababa in the fall of 2016, she put into practice what she already understood about the importance of having gender parity in her classroom. She asked the admissions representative to actively encourage women to enroll. Women answered the call. 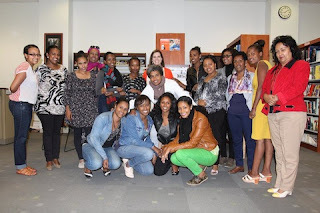 Her empowerment strategy had proven successful: the U.S. Embassy in Addis Ababa invited her to lead a screenwriting workshop for Ethiopian women journalists and filmmakers in conjunction with its consciousness raising campaign on gender-based violence (GBV). The women responded again energetically: these women were on a mission! She developed the screenwriting workshop, entitled “Telling Herstory”, around the theme of gender-based violence. Each of the three scriptwriting finalists produced a five-minute film, funded by the U.S. Embassy, which was screened at the launching of its GBV campaign. The “Telling Herstory” initiative was the beginning of what Lucy hopes to be an ongoing collaboration between her home institution, NOVA, Northern Virginia Community College where she teaches filmmaking, and Ethiopia. I recently asked Lucy about their current activities and, yes, she and the women are still on a mission! 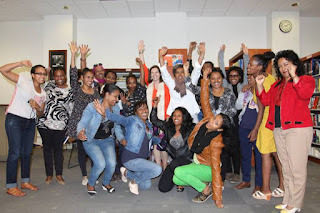 What have you been working on since your “Telling Herstory” workshop in Addis? I am happy to report that two years after the meeting in Addis with the Women on a Mission team I am still in touch with them and am continuing to mentor some of these talented sisters! When we left off, we had agreed that the first project to tackle would be the documentary on the Yellow Movement, about the Ethiopian women lawyers/activists for women’s rights. I am blessed to say that I am still working with three of the Women on a Mission team. The rest are there in spirit, but since some of them come from print media, broadcast, etc., their involvement is less. Talk a bit about the three Women on a Mission who you are mentoring. Serkadis Megabiyaw is the filmmaker whose short won the Dean's Award for cinematic distinction at the 2017 NOVA Student Film Festival. She also has a TV show in Addis called Endewaza. Meaza Hadera is a journalist for EBS (Ethiopian Broadcasting Service) and has made a short that is timely and on point after our training; it addressed the issue of child marriage in Ethiopia. Redeat Abate is an architect by training but has a passion for filmmaking; she is a screenwriter and a set designer, and in my opinion would make a great producer! I have been mentoring these talented women as well as giving moral support, or helping them network with industry people. Just to give context, the Film Collaborative International is a forum that you created, bringing together the works of the film students at NOVA and in Ethiopia to be presented at the NOVA Student Film Festival. And Serkadis Megabiyaw, who you mentored during your Fulbright stay in Addis Ababa, won the Dean’s Award! Bravo! To return to your Women on a Mission projects, there are a few in the works? Yes, one is a documentary on the Yellow Movement that I will be executive producing. It was a very high-profile case due to local lobbying. The movement was also the first to blog and post about the case of Hanna, a young girl who was gang raped and left to die, a few years ago. The Yellow Movement established its niche as a nucleus serving to mobilize, influence, lobby and advocate with and for women of Ethiopia, including combating gender-based violence. This project is in pre-production stage. [Follow link for more information about the Aberash Case]. The second is a short narrative on climate change, which is part of the Films Without Walls series. These women are representing Ethiopia in this international film initiative and will make a short film that will be screened at the 2018 NOVA Student Film Festival – Films Without Walls Series. As of today, we have several countries from around the world participating. I just want to recall that there was post on the African Women in Cinema Blog announcing the call for collaborations for the Films Without Walls Series and you talk about how it came about. What is the other project that is in the works? Finally, the formation of the Ethiopian Women Filmmakers Association (EWFA) is still a goal and a dream. I believe it can serve as the entity needed through which to provide support and training opportunities to young and upcoming Ethiopian women filmmakers in Ethiopia. The idea was to have the EWFA produce the documentary on the Yellow Movement and in turn have the women lawyers from the Yellow Movement help with the legal work to establish EWFA. Sisters supporting and helping to uplift each other is the motto! Amen! And there is a more expansive project to get other women on a mission involved! Yes, I am working as we speak to develop "Telling Herstory" screenwriting workshops for young women filmmakers to be delivered in various countries in Africa. That is also a dream! Anyway, will keep you posted. Until the next one! Conversation with Lucy Gebre-Egziabher and Beti Ellerson, February 2018. Maki observes the sapeurs with a mixture of amusement and scorn. They’re all the family she has, this group of young men who use the streets of Kinshasa as their stage, showing off their wild mix of street chic and stolen designer fashions. Maki has been on the streets a long time and is married to Mbingazor, the gang’s boss. But at some point, the 19-year-old has had enough of this gang of boys, who are too busy getting high and drunk to do anything with themselves. Survival must be secured. The next time money for food runs out, Maki crosses paths with the much younger Acha. This newcomer is a fresh arrival in Kinshasa, and doesn’t yet know the rules. Spurred on by Acha’s beginner’s luck as a thief, the pair set off on an adventure together, which soon arouses Mbingazor’s jealousy. This debut packs in a whole lot: The drama of the story, the raw opulence of the setting and street cred of the actors are all striking cinematic statements. Machérie Ekwa Bahango is part of a group of young filmmakers in Kinshasa working to revitalise Congolese cinema and create works that equally appeal to their own home audiences. Born in Kisagani, Democratic Republic of Congo in 1993. She took screenwriting and film directing workshops while studying Law. In 2016, she wrote six episodes of the series Nakisa: Lobi mokola ya sika, which was financed by the American NGO Search for Common Ground. 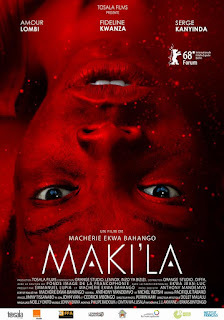 Maki’la is her debut film. Titulaire d'une licence en droit et passionnée de cinéma, elle a traduit en lingala des dialogues du film d'Alain Gomis, "Félicité", avant d'écrire et de réaliser "Maki'la", long-métrage mettant en scène des enfants de la rue qui lui a valu d'être repérée par DIFFA, puis Orange Studio. Produit par Emmanuel Lupia, ce film a bénéficié de l'aide à la finition du Fonds Image de la Francophonie en mai 2017. The Cascade Festival of African Films (Portland, Oregon USA), is held during the months of February and March, thus commemorating the U.S. celebration of Black History Month and Women’s History Month, respectively. The closing week of the festival features Women Filmmakers Week, which includes retrospectives, tributes and recently released short and feature film. 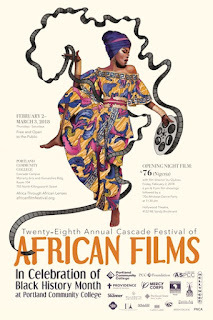 The Cascade Festival of African Films shows us Africa through the eyes of Africans, rather than a vision of Africa packaged for Western viewers. The films celebrate Africa’s achievements, expose its failures, and reveal possibilities for a hopeful future. Although the films cannot represent an entire continent, we hope to encourage American viewers to become interested in and study African cultures. Kaouther Ben Hania documents, over a period of six years, the changes and full range of human emotions that await nine-year-old Zaineb when her widowed mother remarries and moves Zaineb and her brother Haythem from Tunisia to Canada to live with her new husband and his daughter Wijdene. Given extraordinary access to the family, who are her relatives, Kaouther Ben Hania presents us with a case study of two families attempting to blend into a single family, while also dealing with displacement, change, growth and the meaning of family. In this gritty West African road trip movie, four women from different regions develop friendships during a bus journey across West Africa. The film portrays the reality of the problems women face crossing the borders in Burkina Faso, Mali, Benin, and Nigeria, where customs officials regularly harass and sexually abuse women who travel alone. By bonding together, Adja, Emma, Sali, and Vishaa learn to trust and help protect each other. Following Tunisia’s 2011 political uprising, Samia flees to France to escape the brutality and control of her radicalized brother. Fearing his pursuit and retribution, Samia finds refuge with Imed, a former acquaintance from her village in Tunisia, and then with Leila, a rich widow who hires Samia to work for her. Samia soon discovers she has a strong sensual connection with Leila, which leaves Imed, in this blossoming ménage à trois, torn between his religious beliefs and his sexual desires. This film is another tale of women’s empowerment. Tiyaa is a student, member of a prestigious aristocratic family. She is back home to sultanate of Damagaran, in Niger Republic, for the Winter holidays. As planned, she is expecting the young man she met in the university she is studying, in France, to make a formal proposal of marriage. He too comes from a prestigious family, not far from Damagaran, in the Emirate of Maïduguri and her parents cannot reject such an eligible fiancé. Tiyaa is overwhelmed… While expecting him, she has time to inform her friends of this secret Parisian love. Life is pleasant and peaceful but time passes and the handsome suitor is slow to come. Tiyaa has the opportunity to discover in her surroundings other women whose love stories, marriage, desertion or divorce tell of the relationship between men and women in the Sahelian society. Filmmaker Amina Weira travels to her hometown of Arlit in northern Niger, where she interviews the town’s residents about the negative environmental and health consequences of plutonium mining. French mining companies have mined uranium there since 1976. Today the region is contaminated, and large numbers of people have died young and suffer from chronic illnesses. Ms. Wiera’s father, a retired uranium mineworker, is at the heart of this film. He shares his memories of 35 years spent in the mines. Living in the slum in Katwe in Kampala, Uganda, is a constant struggle for 10-year-old Phiona and her family. Her world changes when she meets Robert Katende, a missionary who teaches children how to play chess. Phiona soon becomes a top player. The film is based on the true story of Phiona Mutesi, whose biography, The Queen of Katwe: A Story of Life, Chess, and One Extraordinary Girl’s Dream of Becoming a Grandmaster, was written by Tim Crothers. 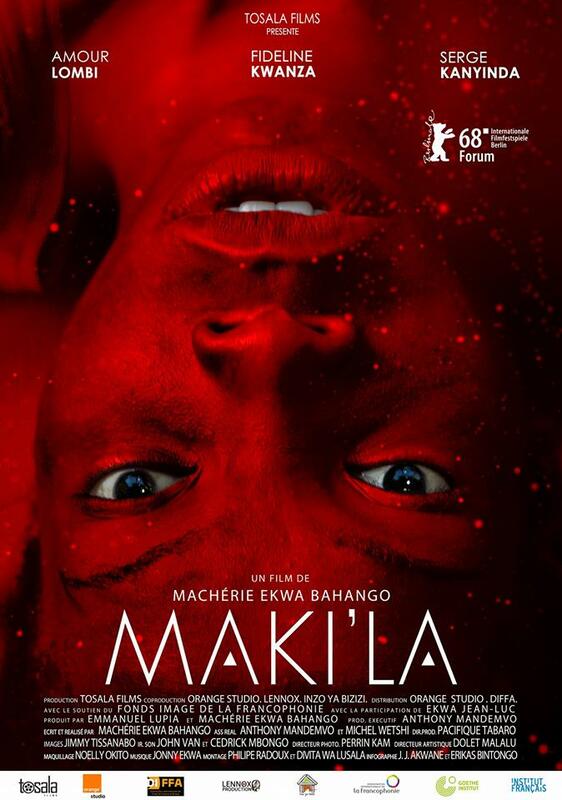 The film stars the Oscar-winning actress Lupita Niong’o as Phiona’s mother, the award-winning actor David Oyelowo as Robert Katende, and Madina Nalwanga, who won the Africa Movie Academy Award for Best Young Actor in her role as Phiona. The African Who Wanted to Fly tells the incredible true story of Luc Bendza, a young Gabonese boy who discovers Kung Fu after watching the film The Big Boss and deciding he wants to “fly” like Bruce Lee and devote his life to the martial arts. At the age of 15, he sets off for China to make his dreams come true. He joins the prestigious wushu martial arts academy, and under the tutelage of Grand Master Meng Huifang, Luc eventually becomes number one in an art form that had previously never counted an African in its midst. Following Egypt’s Arab Spring in 2011 and in need of a laugh, Dr. Bassem Youssef left his career as a heart surgeon in Cairo to try his hand at comedy. He incorporated his observations from Jon Stewart’s The Daily Show to create Al Bernameg, the first political satire show in Egypt. Thirty million viewers watched each episode. Called an “ebullient ode to freedom,” the film investigates the challenges of non-violent action and the power of comedy.